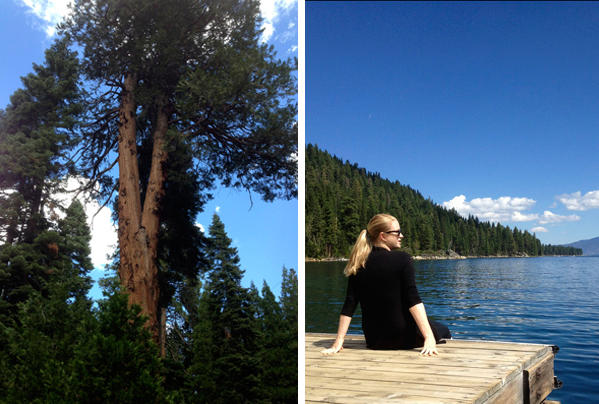 We escaped last week to Lake Tahoe and had such a great time. That place is breathtakingly beautiful! We went up some stunning roads where water surrounded us on all sides, it was majestic. 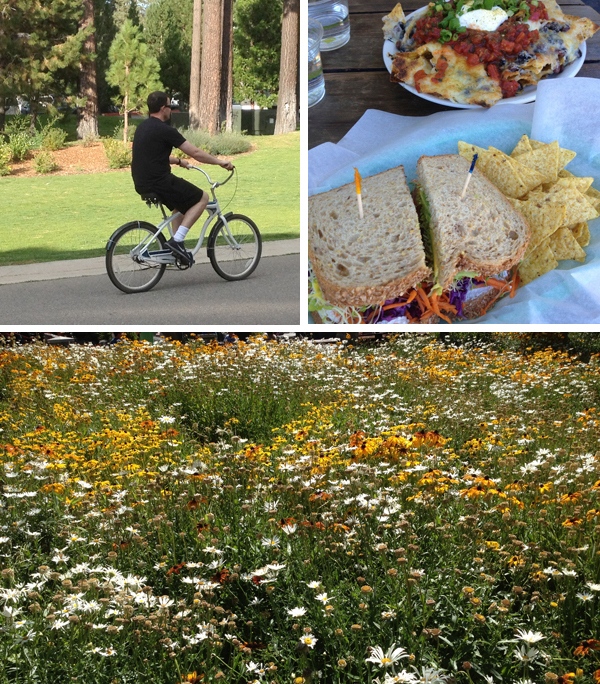 We hiked, rode cruiser bikes, walked on the lake shore, ate at a local vegetarian place and relaxed it up. It was the first solid (more than 4 days!) vacation Mac and I have had in years and we can't wait to go back again and take the kids. 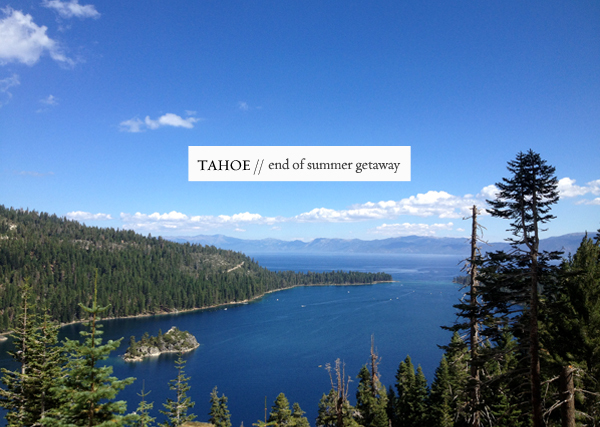 What are you favorite spots in Tahoe? I love Tahoe! The hikes, especially the one near Emerald Bay, is great. My friends had a cabin at Donner Lake, which is great and close to downtown Truckee. Glad you had a good time! yay sprouts is the best! did you go to fallen leaf? fire sign cafe in tahoe city is also awesome! Another must-try in the Tahoe area is Full Belly Deli. It's a hidden gem in Truckee! Wow! it look more than just beautiful! I like huge forests and deep blue clear water. I loveee lake Tahoe! Such a beautiful place! Great pictures! Nothing like lunch with a coool margarita on the deck at Sunnyside, people watching and boat watching, especially when you've boated over with friends from their year round condo near one of the ski lifts on the CA/south Tahoe side...pure heaven!